At forty-four years old, Tim Wakefield is the longest-serving member of one of baseball’s most popular franchises. He is close to eclipsing the winning records of two of the greatest pitchers to have played the game, yet few realize the full measure of his success. That his career can be characterized by such words as dependability and consistency defies all odds because he has achieved this with baseball’s most mercurial weapon—the knuckleball. Knuckler is the story of how a struggling position player bet his future on a fickle pitch that would define his career. The pitch may drive hitters crazy, but how does the pitcher stay sane? The moment Wakefield adopted the knuckleball, his career sought to answer that question. With the Red Sox, Wakefield began to master his pitch only to find himself on the mound in 2003 for one of the worst post-season losses in history, followed the next year by one of the most vindicating of championships. Even now, as Wakefield battles, we see the twists and turns of a major league career pushed to its ultimate extreme. A remarkable story of one player’s success despite being the exception to every rule, Knuckler is also a lively meditation on the dancing pitch, its history, its mystique, and all the ironies it brings to bear. 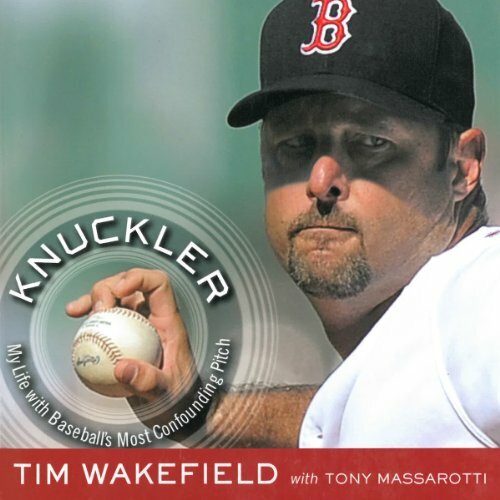 ©2011 Tim Wakefield (P)2013 Audible, Inc. This should be a tv series. The ups and downs are amazing. It's tough to relive as a fan, but an amazing story of an even more amazing guy. Grip, kick, throw.